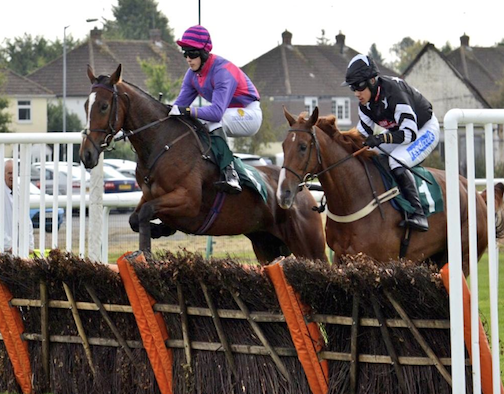 The British Horseracing Authority (BHA) has today confirmed the details of amendments to starting procedures for Jump races, which will be written into the Rules of Racing and come into effect from Monday 13 October. The new procedures have now been ratified by both the BHA Board and Rules Committee after a constructive meeting between BHA, Professional Jockeys Association (PJA) and Aintree and Cheltenham Racecourses led to a series of proposals for the improvements. “The amendments to the procedures are not radical but are intended to provide greater clarity for both starters and jockeys involved in Jump races. “The procedures have been simplified where possible, which was the aim of all parties involved in the constructive discussions. •	Unless unavoidable, races will not be started with horses coming directly from girthing pens to the start line. •	When girthing is complete, the Starter in charge shall mount the rostrum, even if there is still time to wait before the designated off time. •	When girthed up, horses will walk round on course some distance back from the Start. However, no start will be effected if the runners are too far back. It is envisaged that they will be approximately 25 – 30 yards maximum from the start line. •	There will be no goggles shout or any indication of the time remaining to the designated start time. It is the responsibility of the riders to be prepared, including having their goggles down, for the start. •	When the Starter, who will be at the top of the rostrum, wishes the field to walk forward he will raise his flag to indicate this and also give the normal voice instructions. The Advanced Flag Operator will simultaneously raise their flag which should also be visible to riders. •	The field must come forward at a walk and no faster than a jig jog. •	The start will be effected by the simultaneous release of the tape and dropping of the flag when the field have approached the Starter in such a way that he is satisfied that the start will be safe and fair. •	Races will not be started if the field line up and commence to move forward before the Starter raises his flag or approach the start at faster than a jig jog before the tape is released and flag lowered. •	If the above happens, the Starter will wave his flag to indicate that the race will not be started and the field must pull up. The Advance Flag Operator will also wave their flag to enable riders furthest away from the Starter to understand that the race will not be started. •	Should the field be unable to pull up, the tape may be released for safety reasons but the Starter will continue to wave his flag and declare a false start which will be reciprocated by the Advanced Flag Operator. •	If the race is not started at the first attempt, the field will regroup at the marker poles and a standing start to the satisfaction of the Starter will be effected by tape and flag. There will not be a further attempt at a walk-in start and runners will not be sent back further than is necessary to regroup at the marker poles. •	Starters will report offending riders to the Stewards. A two-week bedding in period has been agreed whereby any rider who does not conform to the revised Rules will be reported to the Stewards by the Starter, however the Stewards may not take punitive action against the rider where they believe their actions are not of wilful disregard for the new procedures. 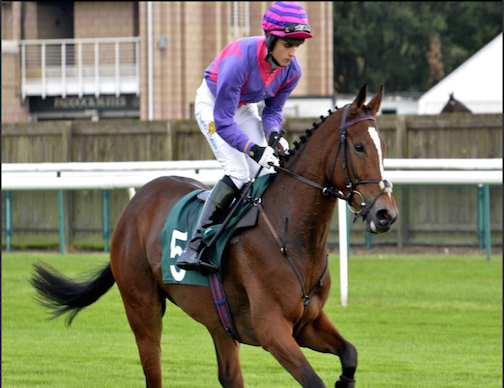 Many congratulations to 17 year old Toby Wheeler who rode his first career winner in the novice hurdle at Warwick today. To make it an even more memorable day than most, he beat champion jockey Tony McCoy on 1-6 favourite by half a length! Warwick Racecourse were kindly about to present Toby with a bottle of champagne before realising that he was under age and so changed their gift to a picture frame!